Walking around Remedios. From Wikipedia: Remedios (Spanish pronunciation: [re?meðjos]), also known as San Juan de los Remedios, is a city and municipality located 3 miles (4.8 km) from the northern coast of Cuba, in the center of the island. It is the oldest Spanish settlement in the former Las Villas province. It is now part of the province of Villa Clara. It was declared a City by Isabella II of Spain, when the Island was still a colony. 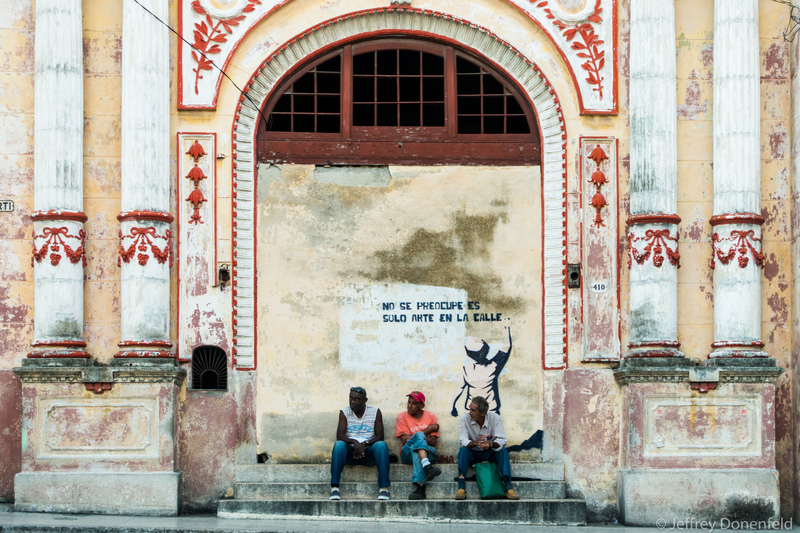 Remedios is the Cradle of the Parrandas, possibly the Caribbean's largest and oldest traditional festivity. Its patrons are San Juan Bautista and the Virgin of the Buenviaje.